So you’re considering a brand management system — but you haven’t decided if it’s right for your business. 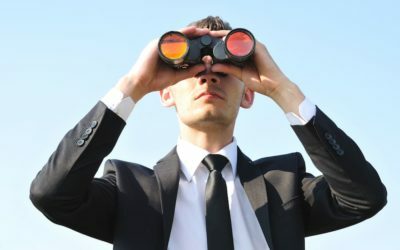 A brand asset management system sounds like a good plan—and a wise investment—but you have a variety of important criteria to consider before you commit. As a smart marketer, you know the importance of brand compliance. You also want to speed up your production and increase your productivity. Plus, you need to enhance your local marketing efforts so your distributed team can do their job better. Most importantly, you have to improve your marketing return on investment. Can a brand asset management system do all that? Will it help you understand your customers better? Will the ROI more than justify the expense? 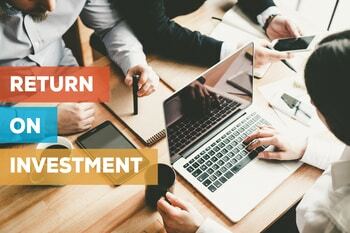 Here are some convincing arguments why you should take the plunge and invest in a brand management system for your business. One of the top reasons marketing execs turn to a brand management system is brand consistency. There’s a good reason for that. Research shows you can boost your revenue by almost 25% if you develop a consistent brand. You can also avoid confusion in the marketplace, which is a real threat to a strong brand identity. 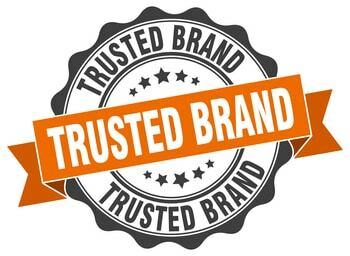 In fact, brand confusion can have the greatest negative impact on your business because it leads to mistrust. To begin, you’ll need to have brand compliance guidelines in place. 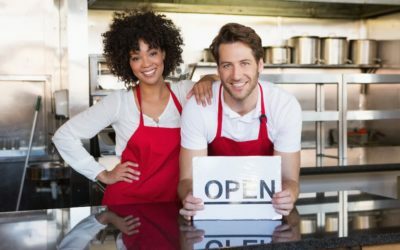 Most businesses have them, but only a small percentage bother to enforce them. Brand compliance guidelines will give you the assurance that your marketing materials maintain their brand identity. You can instantly store, share, and update your brand guidelines for all authorized users to see via a brand management center. Just upload the new file and it replaces the previous version. That sure beats emailing a document to all interested parties each time there’s a change or an update. A brand asset management system will also help you get a handle on all your marketing materials. The American Marketing Association says every marketing department should have a brand hub. In fact, they called it a necessity. You’ll have complete control over your ad templates, logos, and all the digital assets for your entire business, regardless of how many local offices you have. When you have cloud-based, web-accessible software working for you, your approved marketing collateral is readily available for any authorized users to access, 24/7. A brand management system should include digital asset management (DAM) software. This allows you to organize all your marketing assets in one place so authorized users can quickly access brand images, logos, or any other digital files you want to share. This is a tremendous time saver, especially considering you’ll no longer have to email files. Let’s say you’re introducing a new logo along with the guidelines for its usage. The logo is available in three file formats—as a JPG, a TIF, and a PNG. The guidelines are available as a PDF. Rather than attaching all these files to an email and sending them to all interested parties, the far simpler method is to upload them to your brand management center. Now, everyone has immediate access. That’s about as simple and convenient as you can get. To further illustrate the convenience, let’s say you need to make a slight change to the guidelines a couple of days later. Instead of making the edit and then emailing that particular file to your team again, you simply re-upload it to the brand asset management center and it overrides the previous version. Just like that, the new file is available. At its core, a brand management system increases your brand’s productivity in several ways. First, your local marketers can create their own marketing materials, based on pre-approved templates and digital assets. Everything’s in place for them to succeed. You’re empowering and motivating them at the same time. Second, it frees your designers from the flood of requests they would normally get from local marketers. Instead, they can spend their time on far less menial tasks. As a result, you increase productivity throughout your entire organization. You’ve undoubtedly faced projects that never seemed to end. 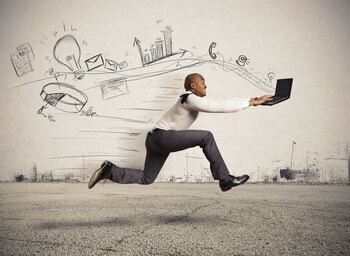 With a brand management system, you can accomplish in minutes what used to take days. Think of the time you’ve wasted searching through countless email messages or file folders trying to find an approved image. That can slow the production of a project considerably. Also, you can coordinate a brand asset management system with your current print vendors and production processes. If you don’t have a preferred print vendor, consider the team of experts at MSP. They have more than 60 years of experience in the direct mail business. MSP’s in-house print department can assist you with direct mail production and delivery. This includes automated direct mail marketing, web-to-print marketing materials, and personalized mail. Having everything in one location means faster production and faster results for your marketing campaigns. A brand management system can help your distributed marketing team do their job better. They’ll have the flexibility to react to their own marketing needs when they don’t have to keep requesting materials from you. With pre-approved marketing templates, you empower local marketers to develop their own materials with their location-specific details. Let’s look at a local marketing example. We’ll use Tim Horton’s, a franchise with almost 5,000 stores, as our case study. Here’s one way they enhanced the local marketing efforts of some of their shops in Columbus, Ohio. 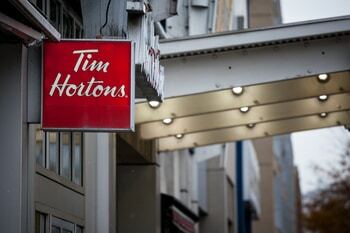 There are more than 70 Tim Horton’s locations in Columbus. To appeal to the local clientele, Tim’s introduced two special “Game Day Donuts” to celebrate the Ohio State Buckeyes football team. The “Buckeye Bloom” donut featured a peanut butter center, and a special Vanilla Dip donut was coated with team-color (scarlet and gray) sprinkles. The stores relied on special signage to announce and promote these donuts. Not surprisingly, they were a hit. You can apply this same principle to your local business strategy. Let’s say a local store wants customized signage for a unique, brand-approved offering. They could log into the brand management center and quickly order the materials they need. You could have pre-approved marketing templates already designed and ready for customization. Or, you could allow local stores to order only what they need from an assortment of ready materials. Again, this is enabling them to be proactive about their marketing efforts, rather than dictating what they need to display in their store. Let’s go back to the Tim Horton’s example. With 70 stores in the Columbus area, it’s safe to say that each of these stores had an interest in signage announcing the special “Game Day Donuts.” By providing options, however, they can choose only what they need—and will use. If you’re creating marketing materials and sending them to all your local marketers to use, you could be wasting money. How? Because all your local marketers are not created equal. Each has different needs. What works for one location may not work for the next. A brand asset management system will help you reduce wasted marketing materials by tailoring the elements for each location. In fact, they can order their own marketing collateral based on their individual needs. When opportunity knocks, a brand management system allows you to respond more quickly. Think of it this way: as you increase your productivity and achieve faster production, you can get your product to market faster than your competitors—at both the local and national levels. That puts you at a competitive (first-mover) advantage. It’s up to 25x more expensive to acquire a new customer than it is to keep an existing one, according to the Harvard Business Review. So it stands to reason you should focus on keeping your current customers. One way to do that is with automated marketing, a prime component of a brand management system. These are just a few examples. Plus, they all come with detailed reporting and tracking capabilities because results are important. It’s the perfect solution when you have different versions of multi-touch campaigns with a variety of elements. Save yourself the chaos of trying to stay in touch with and funnel your customers by automating some of your marketing tasks. If you don’t know the results of your marketing efforts, how can you make adjustments to strengthen your strategy? A brand management system allows you to track and analyze your marketing efforts with comprehensive reporting software. Your data’s telling a story, but you need to know what to look for to understand it. With robust reporting software, you’ll learn how to reduce waste, decrease your production time, focus your future marketing efforts, and expand your reach and sales. If you need to adjust your strategy, you can make educated decisions based on the feedback and results you’re receiving. Last but not least, let’s look at what a brand management system can do to improve your marketing return on investment. The software is built to increase your brand’s integrity and productivity, and decrease expenses. And while there are no financial guarantees, a brand asset management system will put your brand in the best position to be successful. Everything previously mentioned leads to an improved ROI. When you maintain brand compliance, you can increase your revenue by almost 25%—a profit that’s attributable to your marketing efforts. That’s a healthy ROI. Powerful editing tools reduce waste and shorten your production times to improve your return on investment. 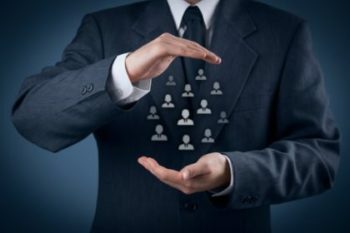 Marketing automation is key to retaining customers and improving ROI. Reporting and tracking data shows what’s working and what’s not working. That way, you can make better marketing decisions in the future and improve your ROI. A brand management system gives you the tools you need to create a successful marketing strategy. You’ll be more organized with a brand management center. You’ll have the ability to create automated marketing campaigns. And you can manage all your digital assets in a central location, providing instant access for all authorized users. Everything your brand does—from the language you use in product descriptions and packaging to the advertisements you create and much more—reveals what your brand is about. That’s why a brand asset management system is so important. 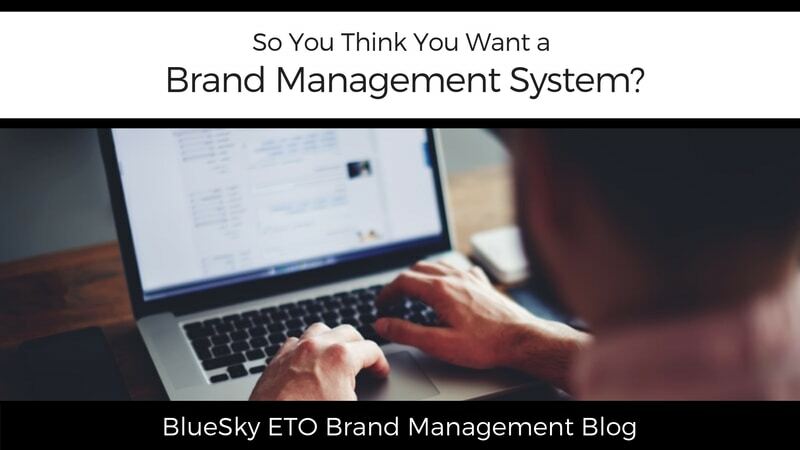 BlueSky ETO offers a complete brand management system that’s engineered to order for your organization. The software you receive will not be exactly the same as the software another brand uses. That’s because it’s built specifically for you. We work with you to develop a solution that integrates perfectly with your current systems. To make that happen, we ask specific questions that help us create a customized brand asset management system that solves your current needs, while remaining flexible enough to meet future goals. We even give you the detailed training you need to empower your local users. The end result? Greater usability and a higher return on investment for you. Schedule a free brand consultation to learn how our brand management system can help your marketing efforts. Here are some convincing arguments why you should take the plunge and invest in a brand management system for your business. Such a detailed post to develop your brand in the right way. Will surely implement it to improve my business. This is really nice for building the business. We need all the help we can get. This post is so shareworthy. I’m sending it to some of my colleagues as well who may need to learn more about brand management systems. Very useful and helpful piece of article. I’ve learnt many things from here. It’s always helpful when you have someone helping to manage part of your business. This is interesting and useful to learn about. I’ve been thinking about a brand management system but thought my business was too small for it. But, this could really help me get more organized. I agree that having a consistent brand is so important in being successful. Thank you for sharing this important info. It sounds like I need to do a complete overhaul to maximize my brand. Thank you! I have so much to learn from this article. However, I am still not sure I need to have a brand management system yet. this type of service is so integral to businesses. i don’t know how many offices are disorganized! thanks for sharing. 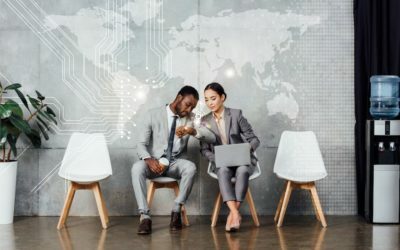 These look pretty useful for the small business trying to get things off the ground in an organization and improving what your presence is online. I can see how it would be so practical. Thanks for sharing great information. I agree with you that,consistent brand image to success. useful advice for someone other than myself! haha but good to know. Very informative. Knew some of these benefits of having a consistent brand image, but the rest are also quite interesting. This article is very informative. I feel like I have to come back to it when needed. Thanks for sharing. Wow so many great information on brand management systems and marketing. I’ve bookmarked your post so I can have it for reference. Thanks! This is a very informative read. I will have to take a deeper dive in some of the options out there. Loyalty matters above all. I will get my team to check on it. Useful, professional advice and above all data with extreme loyalty! Thank you! This is good information to consider a brand management system. Seems like a great way to keep organized. Brand management system, wow… never thought about it. Your blog actually got me thinking and it’s worth a discussion. I’m not sure this is something I need, but I will definitely do some more research. This is a very helpful post. I am sure it will help a lot of people who are looking to implement such a system into their business. Wow – I definitely need to look into this. I hadn’t thought about this before, but it sounds useful. You have actually taught me alot today, great info and very helpful indeed. I will have to look into this. It sounds like it could come in handy and save some time.